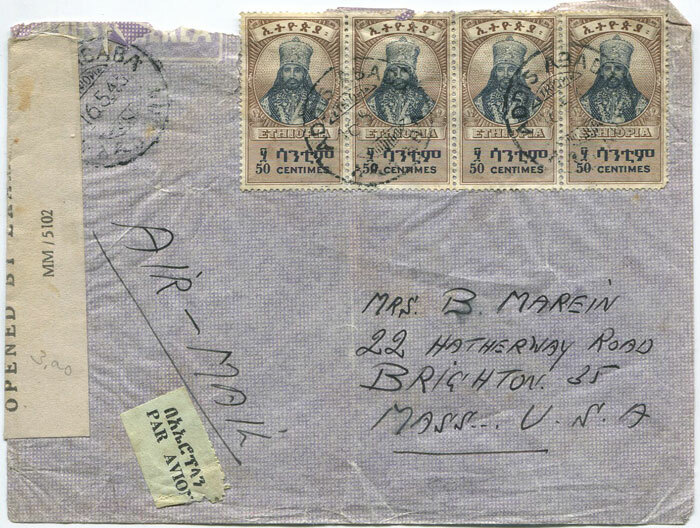 1945 (16 May) airmail cover from Addis Ababa to U.S.A.
with 'OPENED BY EXAMINER MM/5102' label. Central crease and roughly opened. ROSSITER Stuart History of the East African Army Postal Service Proud Bailey Co n.d. 111pp. 1st ed., odd pen annotation otherwise clean in original brown cloth. 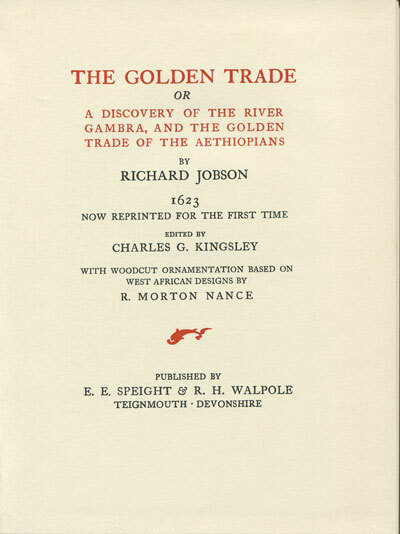 JOBSON R. The Golden Trade or A Discovery of the River Gambra, and the Golden Trade of the Aethiopians. 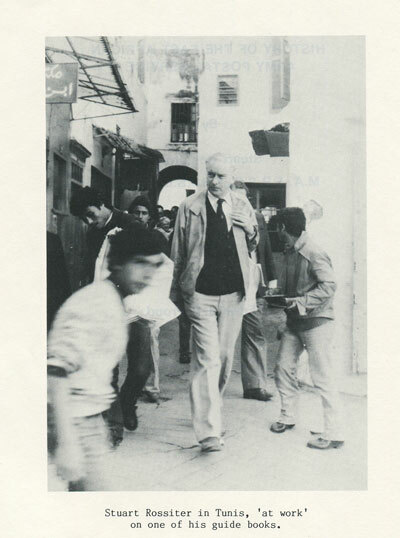 With a new introduction by Walter Rodney. Dawsons of Pall Mall, London 1968 xv + xvii + 210pp. Facsimile reprint of 1623 first edition, very fine in orange cloth. One of the earliest English protests against the African slave trade.